In an age of austerity, we need to make our public investments go further. No longer is it acceptable to simply analyze public projects in one dimension, such as cash flow or job creation. Our projects need to leverage our limited revenue to do all that and much, much more. Our top priority today needs to be on making our places more productive. Thank you to everyone who engaged with us on our two "Infrastructure Cult" pieces last week. The response was overwhelming and I apologize to those who have emailed me and have yet to hear back. We're working on it and some other things soon to be released. Thank you for joining us here each week and for all of your support of the Strong Towns movement. In last week's Friday News Digest, I wrote about the work of Joe Minicozzi, whose speech from CNU 19 I had included in an earlier podcast. While we at Strong Towns often start with the public cost for infrastructure and then compare that to the revenue yield from the property it serves, Minicozzi comes at the productivity equation from a different -- and thought provoking -- angle. Let me share an analogy from Minicozzi's CNU talk: When we look at the productivity of a car, we measure it in miles per gallon. The question we ask is, how many miles does a car travel per gallon of gas used? We are comfortable with this approach because it is vastly more logical than a miles per tank calculation. Nobody asks: how many miles can I travel on one tank of gas? We all understand that, while a Hummer may have a bigger gas tank than a Honda Civic, it does not make nearly as productive use of gasoline. Cities often vigorously pursue that large business -- think Wal-Mart -- instead of the small ma-and-pa shop under the guise that the large business is going to generate more tax base. The same with the big house in the suburban subdivision. That sheetrock palace is paying a lot more tax than the little house on the city block. Isn't it logical that a city will be better off if they have more of these large businesses and homes? Minicozzi's analogy would suggest that revenue per lot is a poor measure of success. The large business may provide a lot of tax base, but it also chews up a lot of land and requires a lot of infrastructure. Same with the house on the large lot. A better way to measure success, and true productivity, would be to look at the tax base on a per acre basis. Seem abstract? Let me give you a real example. At my other job with Community Growth Institute, we are working with the City of Pequot Lakes, MN, to expand their Grow Zone, an area in town where we helped establish a form-based code two years ago as part of a plan to promote business development. Last month we analyzed two streets that had just been reconstructed as part of a routine city maintenance project. What we found affirms Minicozzi's premise. 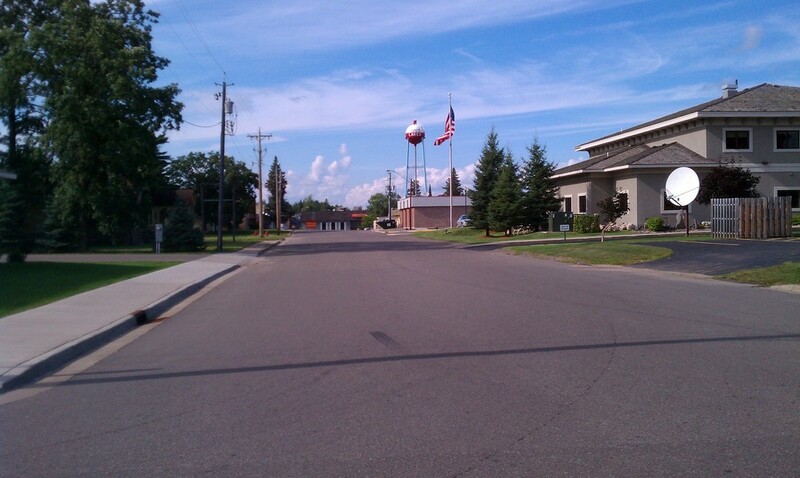 2nd Street in Pequot Lakes, MN. The street reconstruction cost $180/foot. These costs were actual construction costs from 2010, so there is nothing theoretical about them. The tax base calculations were based on (1) the city's current budget, (2) the city's current tax rates and (3) the actual assessed value for each property. We assumed a 20-year life span for the street and put the total revenues collected over that period of time into a present value (at 4% for anyone interested). The results reveal two streets in the heart of the city's downtown that are not even close to being productive. These are streets -- especially Street #2 -- that, if you asked a local to name the five most productive streets in town, would assuredly be on the list. It has some of the largest businesses and the town's major employers. Even so, the taxes collected from the adjacent properties are not even remotely close to covering the basic maintenance costs of the streets that serve them. The premise of our work there is not just identifying this imbalance, but solving it. The standard "miles per tank" approach would suggest that we seek to attract another large business to locate along this street. That would be the wrong move. In the spirit of Minicozzi's work, we analyzed the yield from each property along the streets. The one with the highest total value is also one of the city's largest employer and a business that the community values greatly (with good reason). It consumes five acres in the heart of downtown and, while it pays over $14,000 per year in property tax to the city, the yield is only $2,860/acre. Major business in downtown Pequot Lakes. Tax yield: $2,860/acre. In contrast, a small little shop that had lost its tenant and was currently sitting vacant -- a place that, quite frankly, nobody in the city government much values -- paid only $1,200 per year in property tax. However, it only consumed a quarter of an acre. Its yield: $4,960/ acre. 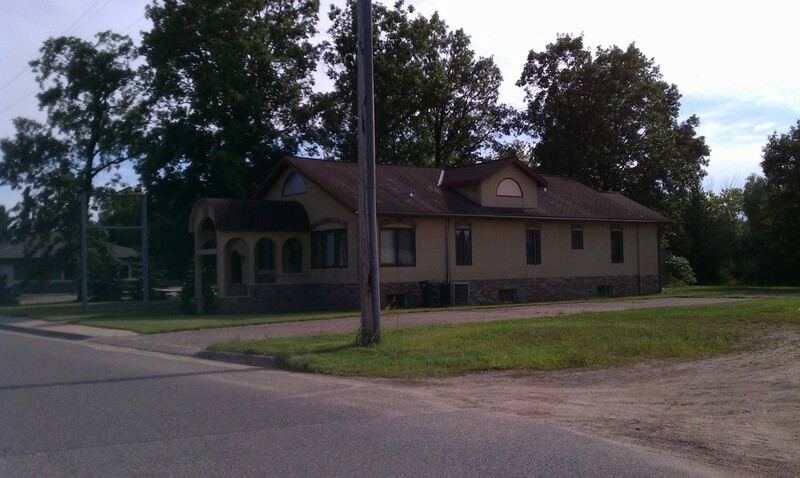 Vacant business in downtown Pequot Lakes, MN. Tax yield: $4,960/acre. To be successful, the City of Pequot Lakes does not need to attract another large employer to build a new business. All it needs to do is get this run down little shop reactivated -- something that is actually much easier to do -- and then create an environment that would allow 20 more of them to be built along this same street. This is also doable over a longer time horizon. When all you need are a bunch of these modest-sized establishments, all of a sudden there is tons of room for growth. I can already hear the chorus of objections from the "jobs first" crowd. They will say that the low-yielding, big business is creating a lot of jobs -- many of them high-paying -- and this little shop, even on a good day, will create few. They will argue that economic development is all about job creation and so focusing on this small end of the spectrum is missing the point. I could question the basis of that assumption, but instead let me point out the obvious fact that always makes these economic development people angry. From the city's perspective, there could be a thousand jobs at that business and a billion dollars worth a sales run through there. None of that will change the property value and thus none of it has any bearing on this city's revenue. 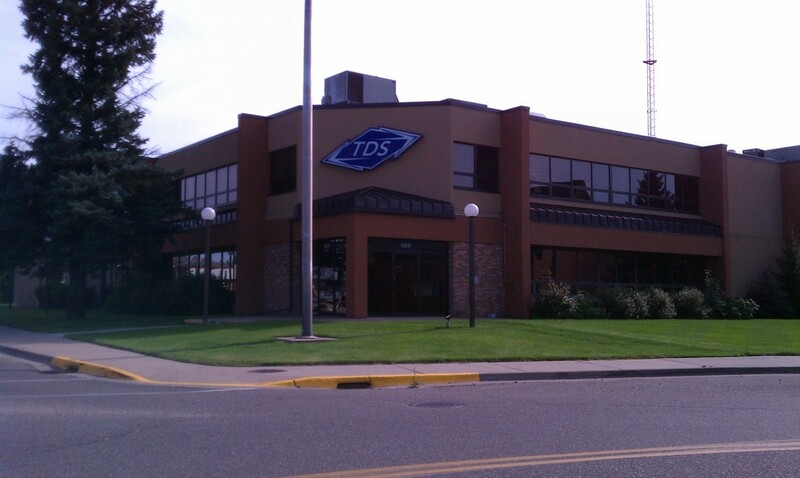 You can argue that tax laws should be changed to provide for a local income tax and a local sales tax (some places have one or both of these, but not Pequot Lakes), but until that happens, the only way this street pays for itself is by becoming more productive from a tax base standpoint. That is not to say that jobs are not important. They are. But they are one factor in many. We can spend a million dollars to attract or create a job, but if that job doesn't generate any financial return to the community, it is going to be hard to repeat that effort. In an age of austerity, we need to make our public investments go further. This brings me to a final, obvious question: If these streets are not productive, why are we building them this way? There is a long answer to that (and I am currently working on a book proposal to answer it), but the short version is this: we've not had to bother about productivity until now. Since the end of World War II, we've been so wealthy and had so much growth that, for most parts of the country, the productivity of our places did not matter much. If it created a job, it was good. If it brought in a new business, it was good. We didn't ever pause to worry about what happens when the maintenance bill comes due. Those bills are due now, and more are arriving each day. We don't have anywhere near the money to maintain so many unproductive places. What we face is a choice between a chaotic reset or a strategic contraction -- one where we intentionally divert our limited resources into those endeavors that are most productive while we seek -- block by block and neighborhood by neighborhood -- to improve the productivity of our places. At least, I'm optimistic that we still have time to choose.